She’s begun her descent into inevitable death, but the legacy of the famous Halifax Public Gardens agave plant will live on. Sheldon Harper, the gardener who discovered the bloom and Heidi Boutilier. 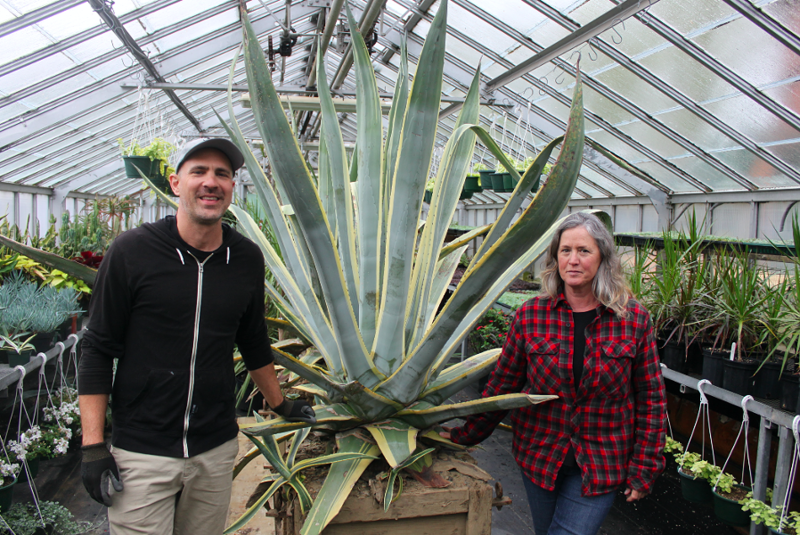 Almost two months have passed since Agave americana became a part of the Haligonian vernacular after a decades-old agave plant in the Halifax Public Gardens sprouted its once-in-a-lifetime bloom. The massive succulent surprised gardeners and caught national media attention, sparking a ‘will it or won’t it’ debate on whether or not it would flower since its rapid growth basically stopped when it was moved outside. It’s been one hell of an emotional roller coaster. But the asparagus-like stalk that shot out of the middle of the plant is a bitter-sweet sign. Agave plants only bloom once in their lifetime and after putting out the flower, she will drop her seeds and die. 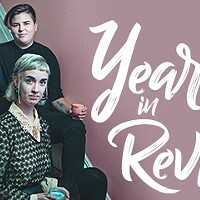 They plan to watch her progress to the bitter end, despite the handful of offers from local distilleries to harvest the plant and turn her nectar into tequila. Boutilier also had inquiries from local gardeners about the seeds from the flower to let her legacy live on. But the plant already has tons of offspring. The famous agave has sprouted many children, grandchildren and even great-great-grandchildren. Boutilier says in the past, only two of HRM's agaves have bloomed but the stalks were cut off. She wasn't willing to do that this time. “I tried to procure a spot for her indoors, somewhere that had cathedral ceilings,” she says. But, as we know, the plant outgrew the greenhouse, and despite attempts to find a new indoor space to keep her warm, she had to be transported outdoors. But a recent cold snap has people questioning whether or not she’ll flower at all. Boutilier looks forward to seeing what happens either way. This past Friday, the agave was joined by her ‘brothers;’ two variegated agaves that will flank her side for her final days. The Public Gardens is also home to some equally spectacular plant species. This year, the Gardens has grown miniature pomegranates, a coffee plant and a fruit-producing pineapple plant, which, like the agave, only flowers and produces fruit once in its lifetime. And thanks to the agave hype, the Public Gardens will start featuring a ‘Plant of the Month’ on its website to continue the interest on the fascinating garden they’ve grown. 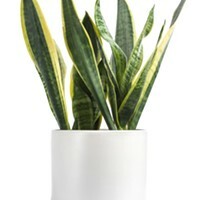 Simple to care for, easy to keep alive greenery guaranteed to brighten your space.